Boat Rides are Back! On Lake Afton - Times Publishing Newspapers, Inc.
Friends of Lake Afton (FOLA), a 501(c)(3) Non Profit Organization, is holding its first Boat Ride FUNdraiser of 2019! Don’t miss it on Saturday, April 13th from Noon – 4:00pm. Come out to Lake Afton, in the heart of Yardley Borough, next to The Old Library by Lake Afton, 46 W. Afton Avenue, Yardley 19067. 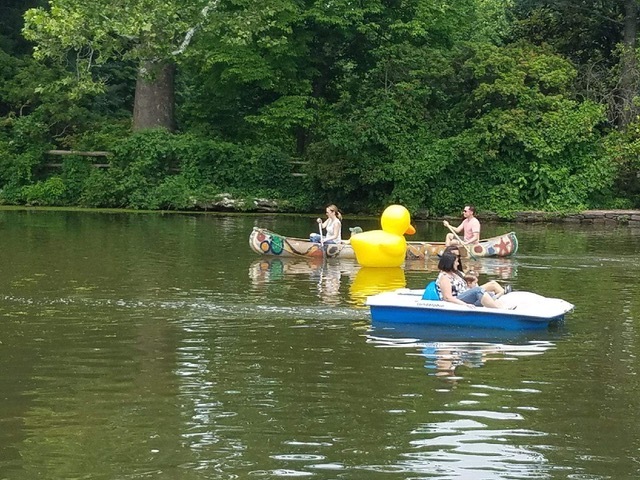 Take a spin around Lake Afton in either a canoe or a paddle boat (for a minimum donation of $5 per boat ride), having fun on the water while helping FOLA maintain and improve this treasured community resource. Look for the large RUBBER DUCKIES floating in Lake Afton that day!